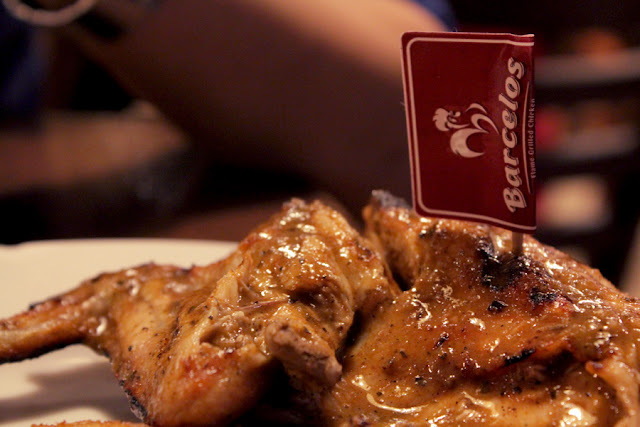 Barcelos Flame Grilled Chicken was another dining place where we passed-by so many times without trying. Donned with the huge rooster signage, one can hardly missed it. So on last Saturday, while Bromance buddies (Brother Tim and ZR) and I were hesitating between Xi Men Ding and this fast-food chain, we decided to go for some chickens (no pun intended) instead. 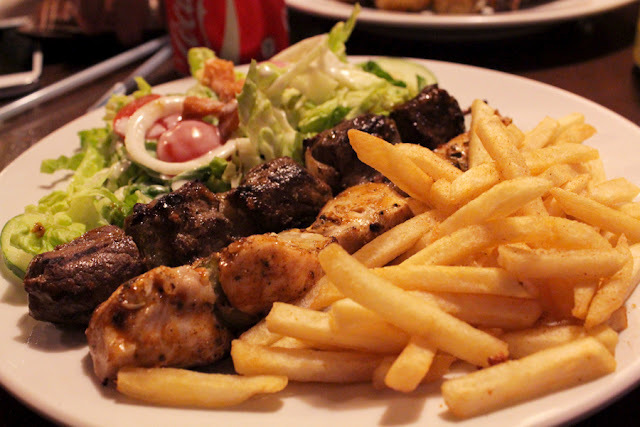 Boasting their signature marinade recipe and the finest quality chicken, they are marinated the traditional Portugese way for 24 hours, 100% flamed grilled and seasoned to perfection. To see whether they proved their point, we ordered their chicken, all marinated with their Supa Peri sauce. 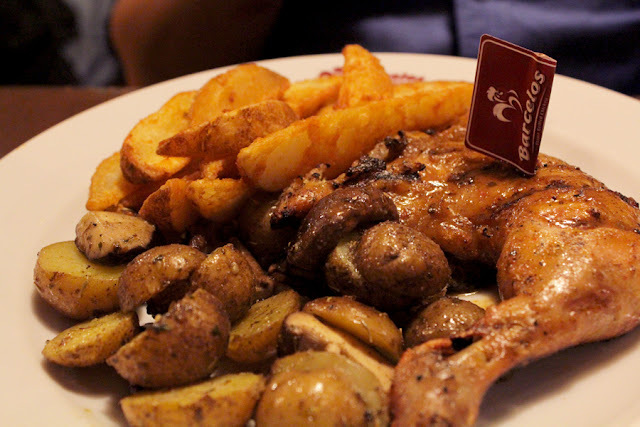 Note: It comes with four different level of spiciness, in the following order: Tangy Lemon, Mild Peri, Veri Peri, Supa Peri. I can't make up my mind on what to eat, so I went for their Twin Mixed Skewers (S$14.95) - one skewer of chicken and another of beef, which also comes with salad and one regular side dish. The beef was well-seasoned and juicy, but the chicken counterpart was over-cooked. I love the garden salad - fresh and crisp. I tried adding their peri peri sauce on it, and it tasted uniquely amazing. Brother Tim and ZR had their 1/4 Chicken Meal (S$14.95), which comes together with either two sides or one side with a drink. Unlike my chicken skewer, their meat was very well-marinated, juicy and tender. Both chickens were nicely charred, which adds to its' distinctive smoky taste. The potato sides (especially their wedges and fries) are lightly salted and crisp, dipped in their Supa Peri sauce - one of the nicest I had. This is definitely not the last visit, but to be honest, I prefer Nandos though.